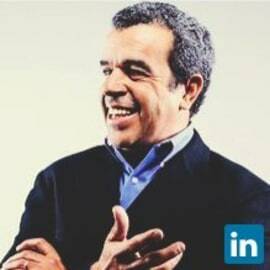 With over 20 years as a business and corporate development executive defining disruptive positioning and business strategy for companies of various sizes, Pierre is now facilitating highly targeted professional connections for the purpose of executing various types of business transactions (eg. investment, M&A, recruiting, strategic partnerships, etc.). Other consulting services include working with companies on their business model and fundraising strategies. Clients include global financial institutions as well as as early stage companies in the FinTech and blockchain ecosystems. Pierre also sits on the board of advisors for several early stage companies. He received his MBA from EDHEC in Nice, France, and conducted his undergraduate studies at Carnegie Mellon University in Pittsburgh, PA.